PC-Press release Test Dept Record Store Day 12″ single – Vinyl only. Test Dept; the authentic industrialists, sonic material handlers, utilisers and recyclers of society’s debris have re-emerged to engage with the current cultural and political climate, exploring new ways of expression in a strategic programme of actions and releases. 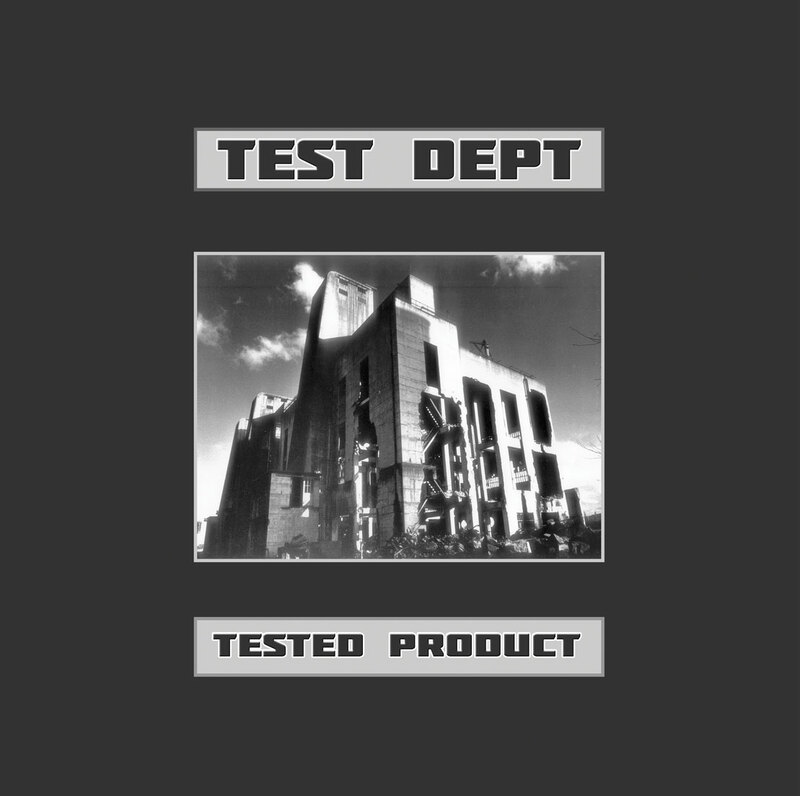 `Tested Product’ is the first in a series of re-releases in new and adapted artworks through recently formed `DIY’ Independent company PC-Press. This 12” for Record Store Day combines tracks from their first, now deleted, `Compulsion’ single (1983) and mixes’ from their second single ‘The Faces of Freedom’ (1986). The tracks `Compulsion’ and `Pulsations’ were recorded in Metropolitan Wharf, Wapping by Paul Hardiman (noted for his work with Lloyd Cole and The The) on a mobile studio. That Wharf, now a block of luxury flats, is a symbol of Test Dept’s disgust for the transformation of parts of London into a rich elite’s playground since first recording during the recession presided over by Thatcher’s government of the early 1980s. `Compulsion’ produced by Flood and Trigger and `Pulsations’ produced by Richard Kirk and Stephen Mallinder of Cabaret Voltaire are fine examples of the mash-up of Industrial sounds and emerging dance music. European synths and Detroit house rhythms mixed with some of the heaviest industrial metal sounds ever recorded make these tracks timeless and key examples of the groundbreaking music that Test Dept unleashed. On Face Of Freedom 2 and 3 the voice of Leon Brittan makes an appearance, sampled to show the evasion, attempted manipulation and hypocrisy of politicians in the media spotlight. The music highlights the post-punk/funk sensibility of the group and the sound of a classical industrial aural collage that would later become the hallmark of many experimental and mainstream groups. Brittan was also pictured on the cover, and now on the label of this release, with worms coming out of his mouth…. The `can of worms’ has recently been opened again and makes the contemporary stories around Brittan of continued interest with Test Dept displaying foresight and a keen sense of provocation in their work, highlighting disingenuous behavior within the political establishment. This entry was posted in News, news-test-dept on February 16, 2015 by Peter Webb.